Create a buzz. Disrupt the norm. Take an industry by storm. We’re reinventing the rules of our industry – and of eCommerce. We design and engineer new products and technology that make sports betting and gaming entertainment a reality for millions. 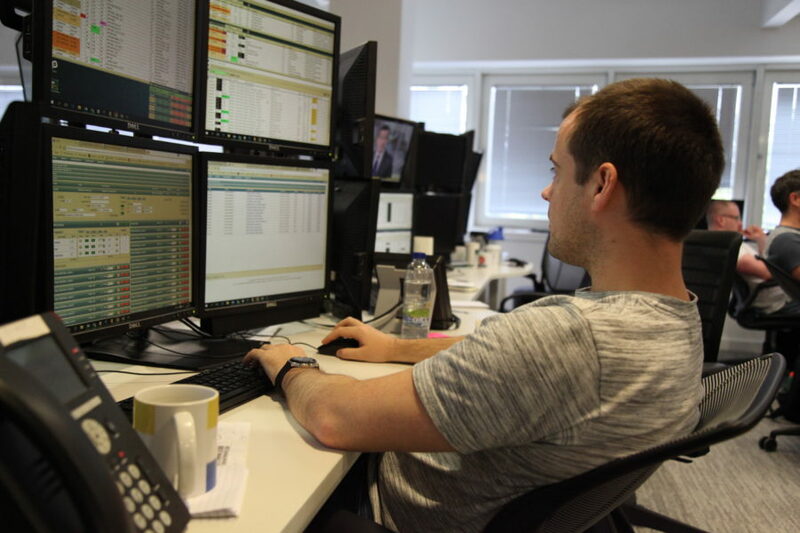 We support high-volume, real-time trading applications and mission-critical websites selling live price feeds into some of the largest betting operators in the world. And we live stream 100,000 sporting events per year. The sheer scale of what we do means that, like Google and eBay, we’re members of the API Billionaires Club. We process 100 million betting transactions through our exchange every day, and monitor 100,000 data points a second. We’re always questioning, always inventing and always developing – both our technology and ourselves. After all, why buy your tech off the shelf, when you can create a better bespoke version yourself? As a global, 24/7 business, any time our systems go down it’s noticed immediately. Imagine the traffic an hour before the Grand National or a World Cup Final. Or in the minute after they cross the finish line or blow the final whistle. It means we have to react to problems quickly. Which is why we’ve deployed a new private cloud platform for our customer-facing systems. And why we have a team of infrastructure professionals to support it in-house. We also build everything from the data centre cabling to the core infrastructure, and leverage public cloud services where it offers us an opportunity for acceleration. Understanding all these component parts not only makes us fast and flexible, but it helps us come up with clever solutions on a daily basis. With 100 million online transactions through our APIs and websites every 24 hours, and over 500 changes to our products and infrastructure being shipped every week, we operate on an incredible scale. With that comes amazing technology – and amazing people. We make sure our systems are maintained to the highest standards, thus giving our customers the level of access to our products they expect. From real-time trading platforms to hundreds of online gaming products, it’s our job to keep them running. Our Data team manages 150+ TBs of data (which is growing daily). This enables our analytics teams to understand business performance across products, channels and brands. Our big data solutions blow the competition out of the water. Working closely with the Marketing, Trading and Commercial Analytics teams, we ensure that the architecture, design and delivery of our data solutions are all first-rate. We also work closely with the Strategy & Analysis team to ensure a coherent and consistent end-state architecture across the Group. We have a proud history of creating new products that take the betting industry by storm. Like Cash Out, the first accumulator bet to allow you to lock in a guaranteed profit or cut your losses before the end of every match. Or our Exchange platform, which let customers set their own odds for the first time. To make new ideas like these happen takes a passion for giving customers what they want, an encyclopaedic knowledge of how our business and systems work, and a plan that’s clearly communicated to everyone. Along with creating bold new products, you’ll have the chance to go exploring in all sorts of directions, as you work closely with our Commercial, Operational, Regulatory and Technology teams to define and deliver the new. As you’d expect, we provide software and websites for both mobiles (iOS and Android) and desktop (all major browsers). What’s more, our offerings are supported by the same software development practices deployed in private clouds that run on the latest virtualisation tools. 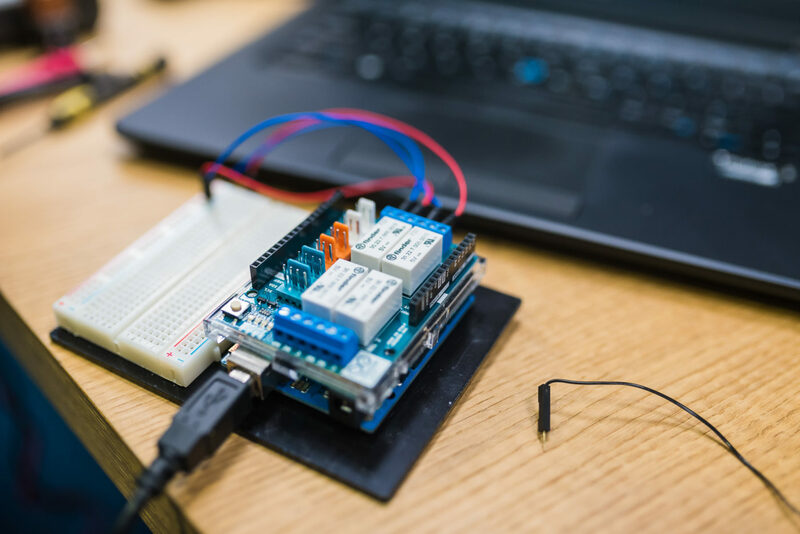 A creative bunch, we’re constantly asking: ‘How can we make our products faster and more reliable for our customers?’ If you have a killer idea here, you’ll get to see it through. With a large design team spread across multiple locations, we create all of the apps and websites for our brands in-house. We have UX & UI Designers, Researchers and Multi-Variant Testers who all work closely together – and with Developers and other stakeholders too – to help create the best experiences possible for our customers. We’re constantly asking: ‘How can we make our products easier to use and more attractive to our customers?’ We also never stop testing, evaluating and improving our existing products to stay ahead of the competition. Hundreds of millions of pounds worth of online bets are made by our customers across the world. We’re the team that defends them, and our business, from cybercrime and online threats. By detecting – and then acting on – possible security risks as early as possible when we’re developing new products and systems, we protect the business 24/7. Enhancing everything from infrastructure and applications to our data security systems, we help make the most advanced technology even more impregnable. The great work our team does was also recognised this year with one of our leading employees winning the 2017 Security Leader of the Year award at the Women in IT Excellence Awards in London. Over 600 retail outlets. 7000 people. Offices across Europe. And state-of-the-art technology. It’s our job to keep everything running smoothly, diagnosing and resolving problems we can fix, and escalating the most complex issues to specialist technical teams. Whether you’re helping someone over the phone or at their desk, you’ll always provide brilliant service. So we’ll give you the training you need to develop in our Technology team, as well as a variety of other career opportunities. Delivering strategy for a global company that keeps on rewriting the online gaming rulebook is a challenge. From real-time trading platforms to innovative online betting exchanges, we create bespoke technology that drives the industry. 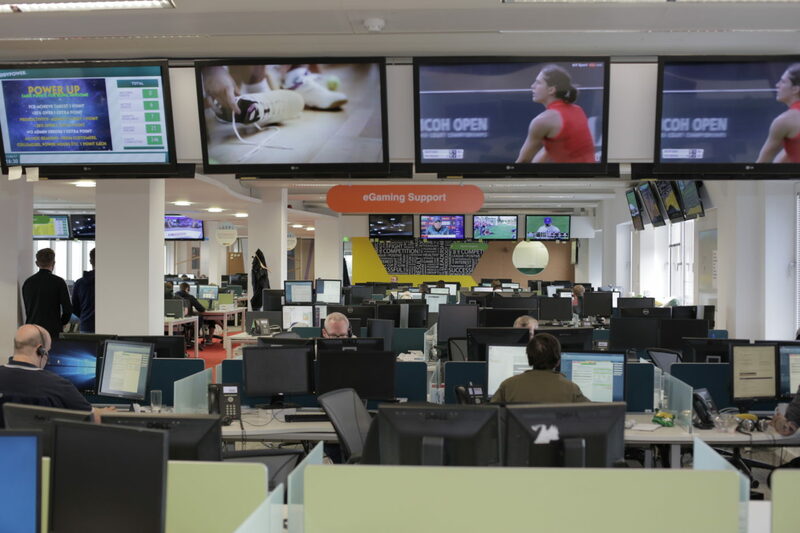 Our Strategy team works across Paddy Power Betfair to provide strategic thinking around the future of technologies within our business. Assessing how we’re going to build new products and technology services, how they’ll fit into our overall architecture and what our roadmap for the future looks like is intense and rewarding all at once. 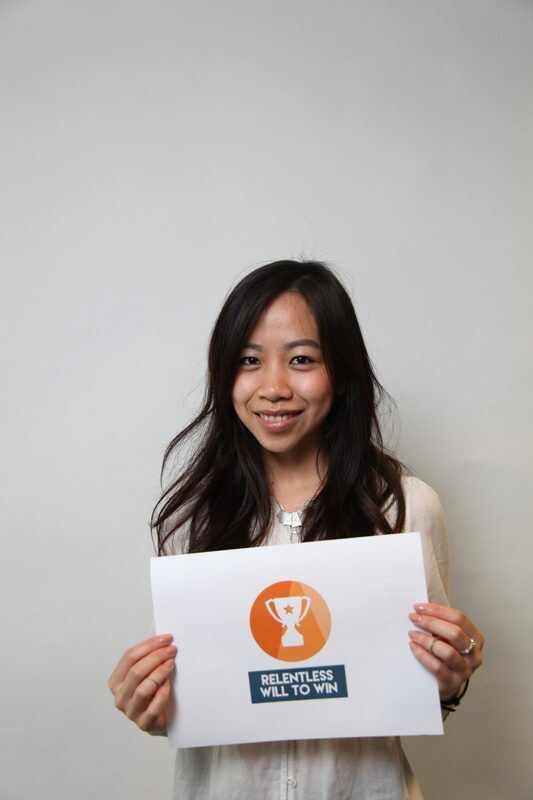 Hi, my name is Beatrice Hendra and I’m a software developer in the Exchange department. I work as part of an agile team who create new features and enhancements to the Exchange system and keep the whole thing running smoothly. I’m also the first point of contact during out of office hours to deal with priority incidents. The best bit about my job is getting the opportunity to move teams to do two-week placements at other PPB offices. It helps me understand the platform as a whole and gives me the chance to work on a real range of exciting projects. With the merger, we have lots more chances to do this and work on even more interesting stuff. The most challenging bit I’d say is keeping up with all the changes in one of the fastest-changing industries in the world. Absolutely! PPB is famous for its ground-breaking products and technology, and the work-life balance is definitely top-notch. There are always events and games going on to ensure we have fun in the office too. What impresses me most is how attentive the managers are about our individual career goals. We’re really close as a department. We all have good banter every day! It’s hard to choose one but I’d pick ‘Low Ego’. It’s a little odd, but it stresses the significance of having the understanding that we are one big team instead of a group of individuals and the realisation that it is important to compete hard but still treat each other with respect, humility and fairness. I would probably invite Sheryl Sandberg as I believe she has been such an inspiration to everyone (yes, men included) who aspire to be successful. It would be interesting to hear her stories in person and I believe I’d have so much to learn from her. We talk to everyone, from the guys who come up with great new ideas for marketing, to the mathematical brains who crunch our customer data. We keep reinventing things. From products, to careers, to industries. People listen to us. We present at conferences, participate in the open-source community and contribute to blogs.